In addition to having a family practice in Toronto, Dr. Gosevitz is Vice President and Chief Medical Officer of Rogers Communications. He is also Corporate Medical Director of Barrick Gold and Post Media. He is Medical Advisor to KPMG, Burnac Corporation and T.I Benefits and Hull Insurance. 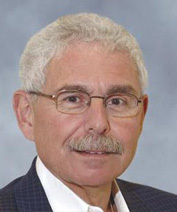 Dr. Gosevitz sits on the Board of the Foundation of the Toronto General and Toronto Western Hospital as well as the Muskoka Chautauqua Foundation. Dr. Gosevitz cares deeply about Canada and our Canadian landscape environment and believes strongly that the way of preserving Canada’s beauty is to connect our youth with the outdoors.